Simplicity is the way to go when communicating. You convey ideas efficiently and effectively. People understand quickly and appreciate your directness. Good Business reporting needs this direct approach. A business report has information that is structured or formatted, and presented to an audience. Fellow employees, a boss, investors or members of the strategic team consume your accurate information and use it to make decisions. Sometimes the reports just inform of the achievements and goals of the company. Business reports take many forms. Some are several pages long with an executive summary at the beginning. Most people are familiar with annual reports, which are comprehensive reports, holding information about the financial performance and business activities, for the entire year. Management teams are constantly searching for interesting ways to present these reports to various audiences: this is where PowerPoint can help. For over 20 years, professionals in all industries have trusted PowerPoint for presentations. Why? PowerPoint lets you communicate successfully! It helps you to eliminated clutter, and focus on the main points. You get to use multimedia files such as videos, pictures, charts, sound bites, animations in business report presentations. Multimedia files add flavour to your presentation so that there are never dull. This keeps your audience engaged. Despite the widespread use of PowerPoint; few people have truly discovered its best features. In the process, they miss out on making their presentation truly exceptional. Yes, good question. We chiefly use PowerPoint to present static info and ignored its capability to support dynamic info. Static info is data your input when creating slides and it never changes. For instance, text, figures for creating charts, pictures, videos, etc. If you need to change anything, you must go back and edit the slides. Dynamic info is the opposite of static info. It changes on its own. You don’t have to make any changes to the slides. Once you design the slide elements, you link the presentation to an external source of data. In short, you make presentation intelligent. Business reports are more than a grouping of factual information into an introduction, body, and conclusion. The report must fulfil the business purpose. Most reports convey past information for decision making or to solve a problem. Would it be better if this information was up to date or real time? Let’s take a scenario, where an employee; say, John Head of Marketing is making a presentation about sales. Being witty, he links a page titled ”Total Monthly Sales” to a database which is continuously updated with the latest customer orders. When an order is made, John gets the most recent data, even during the presentation. Also, PowerPoint allows him to link the database to internet data files. He can receive information from RSS feeds, social media and even weather updates. PowerPoint can also obtain information from Excel files and other data files. 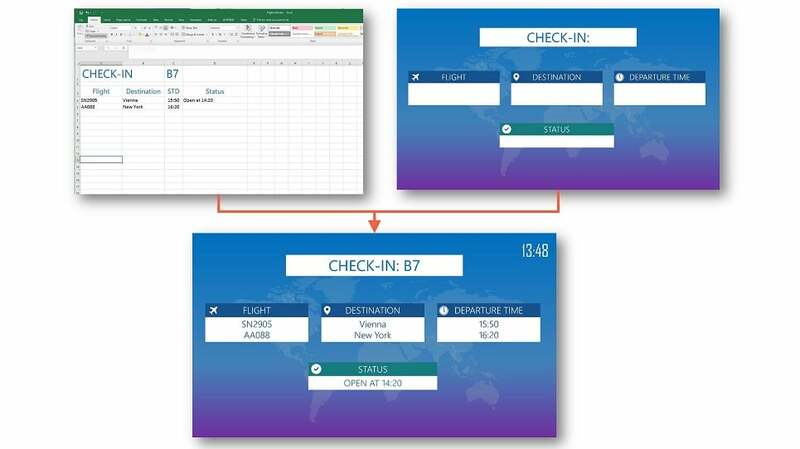 That’s the power of PowerPoint: Dynamic Info. Are you ready to make your presentations intelligent; or to update the PowerPoint presentation with the latest hourly or daily figures? You can write the code yourself. That requires an understanding of programming techniques. If you don’t have the programming skills, worry not. The best option for you is DataPoint. It is an intelligent plugin that adds dynamic data capabilities to all versions of PowerPoint. The add-on is simple to use and updates everything automatically. You get to specify the frequency and duration of the updates. Being expertly developed and tested it runs smoothly with no errors. Of all the programs out there, PowerPoint is the only program that displays dynamic data. It has all the architecture perfected over the years. Unfortunately, no program compares. You generate a snapshot presentation (disconnected) for distribution to others that do not have access to your databases. Real-time information screen or message board by running the presentation as a slideshow on a dedicated monitor. When we told you DataPoint is terrific, we meant it. Here are the integrations that DataPoint makes possible with Microsoft PowerPoint. If you have any questions and how to perform any integration contact us for guidance. Without a doubt: Most people dread giving presentations. 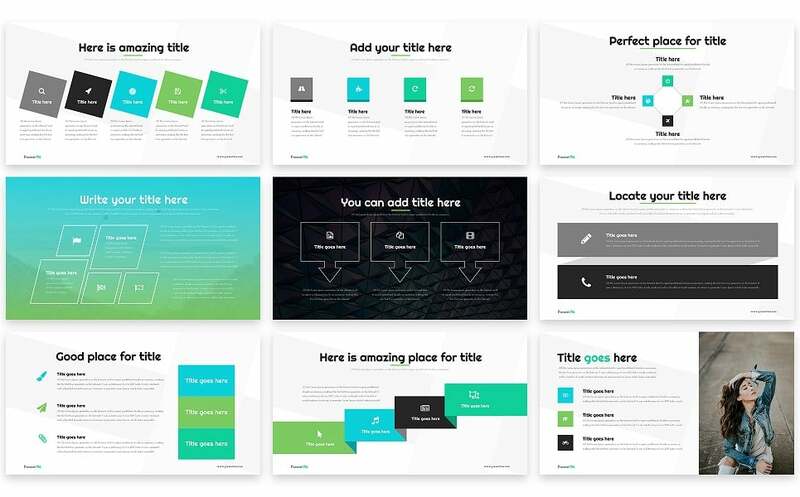 Despite lacking design skills, you will love PowerPoint. All you need is professionally designed templates. 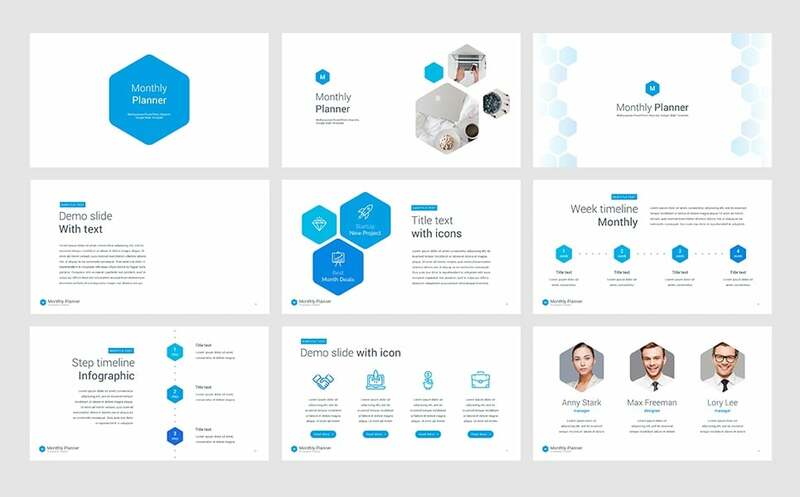 Templates are pre-made themes with the right layouts, backgrounds, fonts, colours, font size, and content. They are sort of blueprints you use to come up with impressive business report presentations. To use them, download and open the file using your PowerPoint program. Next, change the text boxes by adding company-specific information. When using DataPoint remember to use the presentation maker tool. What does it do? This tool is just an option in DataPoint that allows you to scroll through the database and refresh the information you display to users, without the need of creating additional slides. You can read about the option on the Data Scrolling Virtual Slide article. Straightaway give your presentation that extra spark. Using our detailed articles, video tutorials, and technical support, you will soon use DataPoint with ease. Not to worry, the add-on is friendly and comfortable to use. DataPoint allows you to use PowerPoint in ways you never considered possible. For instance, creating dynamic Digital Signages. You can even display presentation on more than one screen. Furthermore, you don’t need any graphic design skills to use DataPoint or PowerPoint. If your organisation has been searching for a simple but powerful way to display business reports, search no more. Use DataPoint for all presentations and Digital Signages. Contact us to learn how we can help your reports shine.